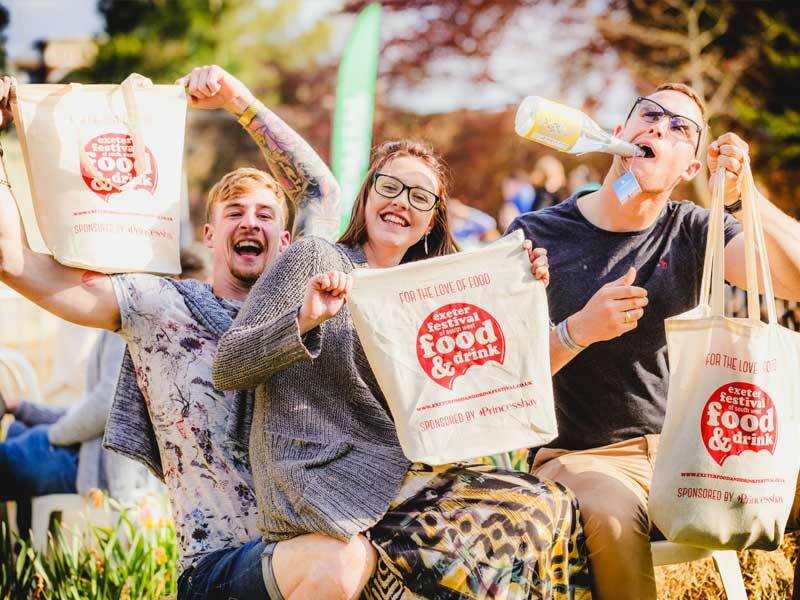 The final day of the Exeter Food Festival saw thousands of foodies take over Northernhay Gardens and the Exeter Castle for Bank Holiday Monday. The rain clouds cleared for the festival’s first ever Monday event and saw crowds basking in the sunshine while enjoying the very best local food and drink. For the 14th year running, the Exeter Food Festival delivered a day of foodie festivities with live music,food and drink masterclasses and dishes from some of the region’s culinary elite. Visitors to the Dart’s Farm Teepees enjoyed curry and a pint with Boom Kitchen and Otter Brewery while others unlocked the secrets of the humble flapjack in the Westcountry Bakery.